Veteran actress Asha Parekh says Union Minister Nitin Gadkari's remark that she 'chased' him for the Padma Bhushan was hurtful. The Minister for Road Transport and Highways had last year said Parekh approached him seeking a recommendation for the prestigious award. The 74-year-old actress says Gadkari's comment wasn't right. 'It did hurt me. It was not the right thing for him to do. But I took it with a pinch of salt. It didn't matter to me... Controversies are a part of the film industry,' Parekh told PTI. Gadkari claimed that Parekh had told him that she was entitled to the Padma Bhushan due to her massive contribution to the Indian film industry. Parekh was honored with Padma Shri in 1992 and with a Lifetime Achievement award in 2014. 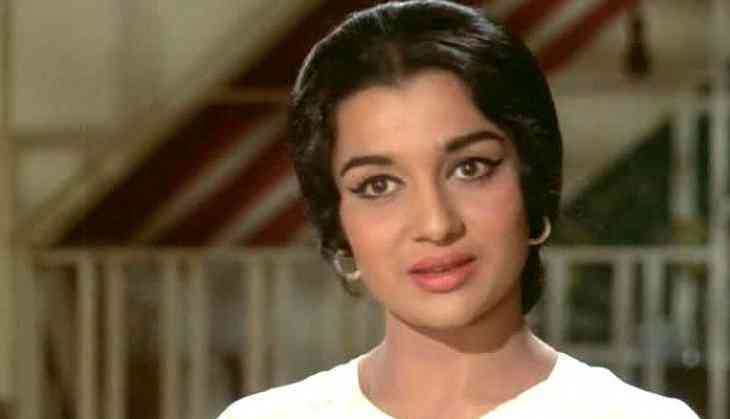 She was one of the top stars in Hindi films from 1959 to 1973 and had worked with all top heroes of her time including Shammi Kapoor, Rajendra Kumar, Rajesh Khanna. Parekh is awaiting the release of her autobiography, 'The Hit Girl', penned by film critic Khalid Mohamed. 'I want people to read the book. I also want to focus on my hospital, so I am a little stressed about that. I am more concerned about the hospital,' she says.